Above is a deed for the sale of some land in Sutton dated 9th September 1870. 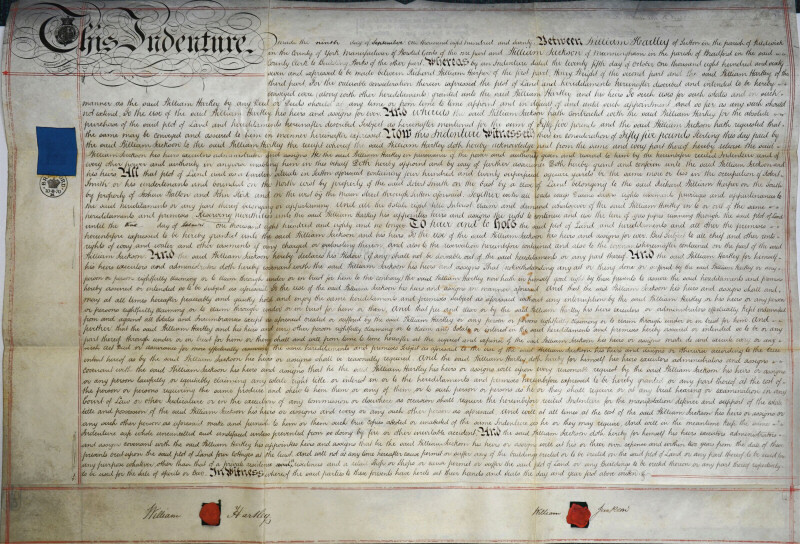 William Greenroyd Hartley, Worsted Goods manufacturer, sold 420 square yards of land to William Jackson for £55.00 to build four cottages within two years. It also states no buildings are to be used for the sale of beer or spirits. The location is unknown - if anyone knows, please post on the forum or contact the webmaster. The document came from a late local resident's estate. 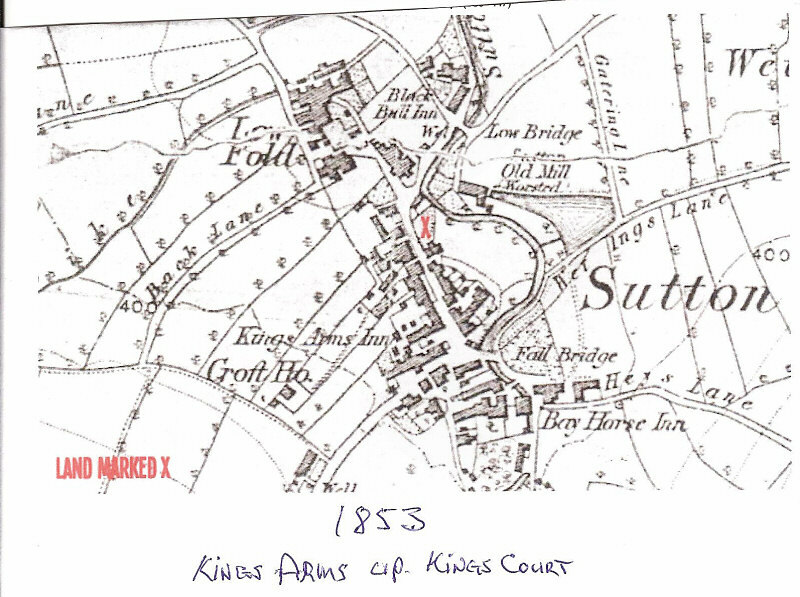 UPDATE Robin Longbottom thinks the location is just up the High Street, as shown on the map below.